Last November 9, disaffected voters to our south did more than just elect an autocratic maverick from outside the political establishment as president. They repudiated the political ideology that has dominated the US political scene for the past 30 years—Reaganism. And in the process they revealed the profound crisis of identity that Americans are experiencing now. Drawn loosely from Adam Smith, spiced with Milton Friedman, and heavily larded with Ayn Rand, Reaganism maintained that unrestrained free market forces would produce prosperity and well-being if people were just allowed to pursue their individual self-interest and government stayed out of the way. But three decades of tax cuts and deregulation have made the rich and the powerful richer and more powerful, while working-class Americans have seen stagnating incomes, job losses, and diminished hopes. Now those non-rich and non-powerful are fed up with laissez faire. They want action. So voters chose Trump, a flamboyant outsider who they think will clean up Washington the way Wyatt Earp cleaned up Dodge City. And, by lining up hyper-conservative billionaires to serve in his administration, Trump looks to many like he is preparing for the glory of a Reaganism redux, this time directed aggressively from the White House. But the truth is, Reaganism is in its death throes, and Americans know it in their gut. The first three stages of grief over this impending death are already there—decades of denial, anger boiling over in the 2016 election, bargaining by electing supposedly successful businessman Trump. Depression inevitably is next. But acceptance may be a long way off. Why? Because Americans are holding desperately onto a fantasy that is part of their very being as Americans. To reject it is unthinkable. Reaganism was never based on considerations of sound policy. Rather it was the result of a confluence of three essentially literary themes—the tales of the oversized heroes of traditional American folklore, the idealised portrait of “free market” economics in popular fiction and non-fiction, and the religious fervour of Evangelical Christianity. 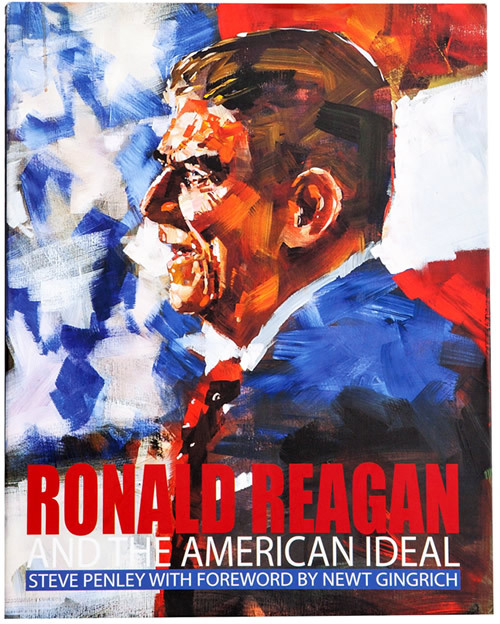 These themes coalesced into a cult-like ideology with Reagan as its figurehead and whose tenets became the vocabulary of conservative America. Americans have always been starry-eyed about their country and early on developed their own iconography to describe their place in it. As the nation expanded westward, Americans glorified the conquest of the frontier and, through magazines and dime novels, made heroes of the people who led the charge. Some of these heroes were fictional, but most were in fact real people, their genuine exploits expanded—and more invented—to convert them into cultural icons. Davy Crockett, Kit Carson, Wild Bill Hickok, and others became larger-than-life characters, often when they were still alive. Part of this impulse for fantasy, no doubt, was to compensate for the everyday drudgery of farm, factory, and office. Americans grew to cherish the ideal of a single man (seldom a woman) making a new life for himself in the wilderness. This iconic figure—loner, pioneer, cowboy—became the image of what it is to be an American. As the 20th century unfolded, Americans clung to this image, fuelled now by Hollywood, both to insulate themselves from the reality of hard times and then to celebrate America’s ascendancy as an international power. But what was originally just entertainment soon took deeper hold. World events stoked a growing belief in American exceptionalism, as the US came to the aid of Europe in two world wars and became the dominant economic and political power after World War II. It was as if history had confirmed the superiority of American ideals. The cowboy had saved civilization! The subsequent years of the Cold War cemented the moral legitimacy of American hubris. If the communist Soviet Union was now the embodiment of evil (the “evil empire,” as Reagan later put it), then the capitalist US, being its polar opposite, was the embodiment of good. The more capitalist you were, it followed, the more moral you were. If communism sought to control the economy, the US would let the market rule. If communism valued the collective, America would put its trust in the individual. The belief in the virtues of free enterprise quickly became a moral imperative. Milton Friedman’s Capitalism and Freedom became a staple of classrooms, and reading the novels of Ayn Rand became a generational rite of passage. The exercise of unfettered individual self-interest became America’s moral orthodoxy. But while communism is basically a belief system—a failed aspiration because it works against the flow of natural behaviour—capitalism at root is not an ideology but a practical attempt to guide and structure natural behaviour so it works more efficiently. But in the US, ideology had already outrun understanding. In the 1950s and 1960s, as the only major economy left standing after the devastation of World War II, the US was an economic powerhouse, enjoying an unprecedented era of growth. It was the economic and military bulwark of the Western world. Americans revelled in this, thinking it was the way American capitalism would always be. But they were roughly awoken by the debacle of Vietnam, the 1973 Oil Crisis, and the re-emergence from their ruins of other strong, competitive economies. The US economy fell into recession. Carter waffled; Iran took hostages. These body blows shook Americans’ confidence and their assumptions about their way of life, their prospects. The country needed to have faith in itself again. Enter Ronald Reagan. An affable B-movie actor who espoused traditional values and wore a cowboy hat well, Reagan was perfectly suited to the play the part of poster boy for a new American assertiveness. The hero of movie fiction was to become a hero of reality. The timing couldn’t have been better. By the beginning of the 1980s, the Soviet Union was in terminal decline, so, under Reagan, the US was able to crown itself the sole world superpower. America would become “great again” by confirming its values, reasserting its economic strength, and leading the free world. The US could claim victory not just militarily and economically, but also morally. So the narrative grabbed hold. Ronald Reagan donned the mantle of modern American hero and, asserting that “government is the problem,” took Americans’ love affair with individualism and capitalism and ran with it. His acolytes streamed behind him. At the same time, Evangelical Christians were flexing their muscles politically, and perhaps confounding Smith’s “invisible hand” with Holy Scripture’s “Hand of God,” enthusiastically joined in. But in the real world, the result was a failure. Reaganism let self-interested behaviour run amok and released the market’s latent extremes, to the detriment of many, especially the working class. The reason is simple: markets are as imperfect as the players in them. Greed, ignorance, error, irrationality, and simple stupidity are always there, on both sides of every transaction. Markets can also be manipulated by powerful players working for their own advantage. This is not new. Adam Smith was well aware in the 18th century, but Reagan clearly wasn’t in the 20th. Now there is Trump. The election of Trump shows that Americans are still looking for a hero to lead them. But Trump, of course, is also a fiction—a hero who isn’t real, only a make-believe. His business record is spotty at best. Unlike Reagan, who was governor of California before he was president, Trump has never held public office. His “heroic” image comes only from self-promotion on “reality TV” and social media. So, with Trump, Americans seem to have turned completely away from reality in favour of the simplicity of hero-based fiction to guide the US in fulfilling its role in the world—good guys versus bad guys, where, as in old cowboy movies, the good guy always wins. The election of Trump is the result of Reaganism’s failure; it is not its cure. He is a loner, just like the cowboy heading into the sunset. Reality television is as close to the real world as he is likely, or perhaps even wants, to get. So the US will churn for the next several years, trying to sort things out, with the stages of bargaining and depression alternating as the nation attempts to restore its faith in itself. But there is a risk in waiting too long—the values the US holds dear may atrophy, even die. And then no hero will be enough. In 1849, Kit Carson was sent to find a woman, Mrs. Ann White, who had been kidnapped by Apaches. He found her, dead and badly beaten. He wrote in his Memoirs that she had been a beautiful woman and that in her belongings he had found a book about himself, the first time he had even seen one. It was filled with fanciful and heroic exploits—a fictional self he did not recognize. The question hangs heavily in the air: Was it this romantic fiction that attracted her to the unknown frontier and a situation from which not even a real hero could save her? And the question American have to ask is whether the US, by holding on too long to an obvious fiction, has put its own future at risk. Americans for the most part assume that Canadians are like themselves, only perhaps a bit more polite. But when they come north, in particular into Quebec, Americans are almost immediately struck by the depth of the differences. The famed politeness, naturally, is there, usually expressed as a deference to others that Americans, without actually being rude (except for New York City), don’t generally observe. And there is the metric system, whose ease and efficiency are surprising for something Americans consider so “foreign.” In Quebec, there is, of course, French. And everywhere, winter. But after a while Americans realize there is something else going on: The “American” narrative of the US isn’t present at all. In its place is something odd, even un-American—except that it can’t be. It is a different take on the North American experience. Samuel de Champlain, les coureurs du bois, les voyageurs, Wolfe and Montcalm? Yes, Americans have heard of the RCMP, but only through Sgt. Preston and Dudley Do-Right. Television fiction. The fact is that Canada possesses a whole other sense of what it is to be a (North) American. And the striking part of this alternative narrative is the absence in Canada of larger-than-life legendary individuals on the scale of the American frontiersman and cowboy. Oh, there are heroes——Laura Secord, Louis Riel, Norman Bethune, to name a mere handful—but these are celebrated as real people, not outsized ones. The cult of the individual never took hold in Canada as it did in the US. Canadian icons, apart from the purely fictional ones, tend to remain anchored in reality, in their historical context. They cannot be said to be larger than life. They are simply exemplary—and that is quite enough. And this speaks volumes about how Canadians view the individual and the individual’s place in society. Right now, many Americans are struggling with just this issue. Under Reaganism, which idealized the “free market” as the key to prosperity, economic inequality has increased dramatically in the US. While a few have been enriched, huge numbers of working people feel socially and economically trapped, unable to change their circumstances for the better. But it’s not just that Reaganism has failed. It’s that these people feel economic inequality has stolen what Reaganism claimed to represent and guarantee: their personal liberty, their individual freedom. It’s not that Americans do not accept some inequality—they do. There are people who work harder, achieve more, have more talent, more luck. What Americans don’t accept is the institutionalization of inequality. Failure, yes. Serfdom, no. But lately, widespread inequality has become so firmly rooted as to constitute an effective class system, a permanent state of haves and have-nots, from which there is no escape. It should be recognized, however, that despite Reaganism’s advocacy of unfettered self-interest, to Americans freedom has not traditionally meant license to do as one wants. Their religious heritage, at the very least, has always tempered their public and private behaviour. Nor has freedom meant just political liberty or have anything to do with guns or the military. Rather, the promise of American freedom has always been that a person is able to work for the benefit of self and family without artificial social constraint. Americans have always expected, at a minimum, that they will be able to improve their lives, not because of wealth, class, religion, or race, but because they are willing to put in the effort. It is easy to see where this comes from. The future US was settled by people seeking relief from poverty, persecution, and repressive class systems. And on these shores they were able to start out afresh. The only constraint was the strength of their work ethic. Merit, in short, was their measure of self-worth—not inheritance, not entitlement. The trappings of elitism—power, wealth, privilege—could certainly be acquired, but as a result of individual achievement, not as a birthright. This notion of freedom—the unfettered ability to work to better their circumstances—is at the core of Americans’ sense of themselves. So what is freedom, really? Both Canada and the US hold to the Lockean idea of the importance of individual liberty as a foundation of society. But they express that commitment to liberty differently. As a leitmotif, Americans have focused on the Declaration of Independence’s promise of each person having the right to “life, liberty, and the pursuit of happiness.” Perhaps as a result, the average American sees government more as an inconvenience than as a responsibility, as a hindrance to individual effort, not as an aid. In contrast, Canadians have looked to the British North America Act’s “peace, order, and good government,” focusing on the collective benefit of social stability. This seems staid in comparison. But these two phrases are intimately bound, the yin and yang of Western liberal political thought, and in fact represent two sides of the same thing. Neither can exist without the other. While Americans do acknowledge the need for collective protections of their freedoms, they tend to believe that need to be met by a strong military. The rest of “government” is viewed with suspicion. “Freedom” to an American is virtually synonymous with “absence of government.” What they are clinging to is an idealized notion of freedom based on the mythology of the frontier. What freedom is in a social context is not in the front row of the pantheon of traditional American ideals. But even if social institutions are able to constrain such an aggregation of power, there is another weakness—the “market.” The market—meaning human behaviour in the world as they earn a living—doesn’t automatically allocate resources efficiently. The standard model of perfect competition assumes perfect knowledge, rational decisionmaking, free mobility of labour, no externalities, no barriers to entry or exit, and a long list of other factors. In short, it is an ideal, not a reflection of reality. Ignorance or simple lack of good information, which is common; irrationality; bad or unavailable transportation; illness; prejudice, corruption—all these distort the market. And by doing so, undermine freedom. So, if society’s goal is freedom of opportunity for every generation, for each individual from the day of birth, then pure freedom must give way to a more structured freedom. The challenge now for Americans is to choose role models that reinforce this, not ones that perpetuate a myth of nostalgic perfection. A first step might be to look back at American history and take better stock of what their heroic icons were really trying to do. Were they staunch individualists? Yes. But were they only out for themselves? Emphatically no. To them, America was a collective effort. The word “collective,” however, is a button-pusher in the US. It is virtually an expletive in Ayn Rand’s novels and her fans, such as the billionaire Republican donors Koch brothers, use it accusingly, the way Joseph McCarthy used “communist.” But it is the right word. Americans such as Daniel Boone and Kit Carson, Buffalo Bill and Wyatt Earp were never really trying to do it alone. The frontiersmen were exploring in the vanguard of settlers, who would establish towns. The cowboys who followed were raising beef to feed a growing population in those towns. Individual efforts were praised, but the purpose of the effort was not individual glory. They were trying to build a new nation, for themselves and their fellow citizens. It was a creative effort on an enormous scale, and one that the participants were very aware of. They knew that what they were doing was not for personal gain, though that could be part of it; it was a collective effort for everyone’s gain. The immediate question is whether President Trump will be able to recoup Americans’ sense of freedom. It doesn’t look that way. The election of Trump is the result of Reaganism’s failure; it is not its cure. It was a desperate stab to revive a failed outsized hero icon. But it was a step away from reality. Trump himself seems more comfortable with reality television than the world as it is. So the US will likely churn over its sense of freedom for the next several years, trying to sort things out, with the stages of bargaining and depression alternating as the nation attempts to restore its faith in itself. The last time the US tore itself apart over the meaning of freedom was the Civil War, where the country took up arms against itself to restore its most basic value, freedom. But it helps to remember that before the ultimate Union victory, while the road to freedom for escaped slaves was northward, it didn’t end in the free states of the US, it ended in Canada. So in reflecting on what freedom means, Americans might well take a moment to look north again, to the principles of “peace, order, and good government,” to the humility and inclusiveness that Canada represents, and thereby restore the balance to what it means to be an American. 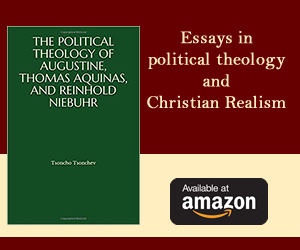 Timothy Niedermann is a professional editor, who over his career has dealt with a wide variety of subject matter—including international law and public policy as well as general fiction and non-fiction. He has also taught writing at Yale and McGill. A native of the state of Connecticut, Niedermann moved to Montreal in 1999 and now divides his time between the two. He reviews books for the Montreal Review of Books and the Ottawa Review of Books. A graduate of Kenyon College, Mr. Niedermann also attended the University of Freiburg in Germany and holds a J.D. from Case Western Reserve University Law School. He recently published his first novel, Wall of Dust, with Deux Voiliers Publishing.